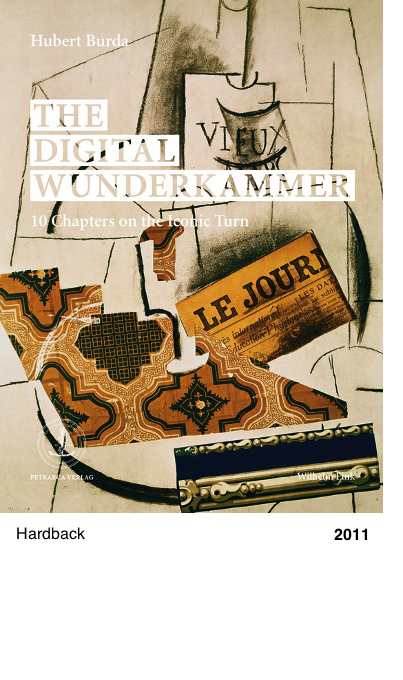 THE DIGITAL WUNDERKAMMER Ten chapters on the Iconic Turn Publisher Hubert Burda, in collaboration with renowned experts like philosopher Peter Sloterdijk and media scientist Bazon Brock, has brought out another book on the subject of the Iconic Turn . Digitalization has changed the world at a breathtaking pace. Not only information but images, too, are circulated rapidly, in a targeted way and on a large scale. And it is not just the speed, but also the way we perceive images that has changed. It is precisely the media creators, i.e. journalists, photographers, graphic artists, publishers, and software programmers who are substantially involved in how people perceive the world around them. Visual communication is becoming noticeably more important. But what are images in fact? What is their function in their respective contexts? And now has the perception changed with the Iconic Turn ? These and many other questions are tackled in The Digital Wunderkammer , the new book from Hubert Burda published by Willhelm Fink Verlag. Hans Belting, Horst Bredekamp, Bazon Brock, Friedrich Kittler and Peter Sloterdijk have addressed these questions, and their answers help us to understand this complex topic. Wherever communication changes, the foundations of society change, too. Gutenberg s invention of printing revolutionised human communication, books were no longer a status symbol but accessible to the masses. And Martin Schongauer s invention of copper-plate engraving shook the world, paintings were no longer tied to one place, replications enabled the whole world to share them. Innovations like photography and film altered communication in the world considerably. The full extent of the changes produced by digitalization will only be revealed in the course of time. To be able to understand the Iconic Turn in its entirety, however, we should not only shed light on it from the technical side, but we must also approach it in an interdisciplinary manner. Corporate decisions are often easier to take when we know how to interpret past successes and findings properly. Together with computer scientist David Gelernter, Hubert Burda will discuss ideas and insights on the Iconic Turn at Europe s innovation conference DLD on 24 January 2011.